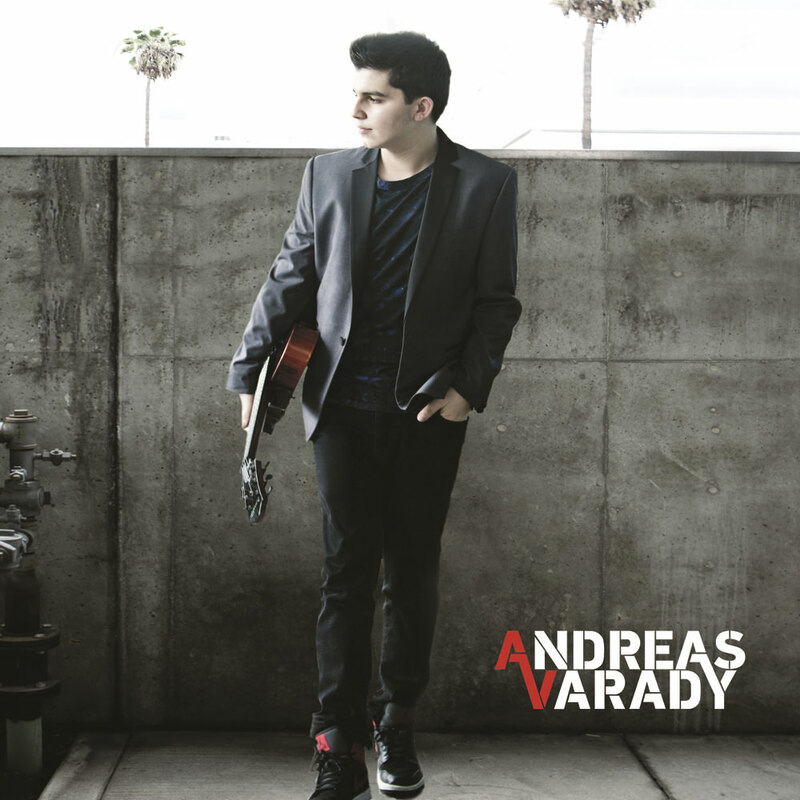 "Keep an eye and ear on guitar prodigy Andreas Varady, who at 16 is already building a buzz here and abroad." "This energy-injected, jazzy frolic showcase’s Varady’s amazing chops. And at only 16 we can expect that while the best is yet to come, this is pretty darn incredible!" "... (Varady is) one of the most talented people on this planet, who takes the music back to where it belongs. Andreas is the complete package. He's a 360-degree musician whose knowledge and appreciation for all genres, from jazz and hip-hop to rock and pop, can be felt in his music." Andreas Varady started mastering jazz guitar at a very young age. Born of Hungarian Gypsy descent, Varady was raised in a small town in Slovakia and first began to play the guitar at four years old, tutored by his father. In the summer of 2012, Andreas had the opportunity to play at the world famous International Montreux Jazz Festival where he performed in front of record producer and music legend Quincy Jones. A few months after the festival, Jones signed Andreas to his management company. Varady was only 16 when he recorded this 2014 self-titled album, which was executive produced by both Jones and David Foster and produced by accomplished musicians and producers David Paich and Jay Oliver. "There are a lot of 'young guns' out there, but what makes Andreas different is his mindblowing maturity. He thinks like a seasoned pro who has been doing this for 40 years and yet he brings a youthfulness to his music that is so refreshing."